Shrewsbury have lost their last two, while Brentford have begun to pull away from trouble. 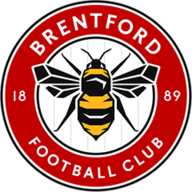 Shrewsbury have lost their last two and have struggled for consistency this season, while Brentford have now won consecutive games and eased away from trouble. New signing Kevin McIntyre is expected to go straight into the Shrewsbury squad after joining the club on Thursday and should come into the centre of midfield to replace Stewart Drummond, who joined Morecambe on the same day. Following Drummond's departure, Ben Davies, who was rested against Peterborough on New Year's Day, will skipper the side against the Bees after manager Gary Peters gave the midfielder the captain's armband. 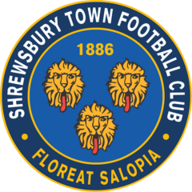 The Shrews lost 2-1 to Posh on New Year's Day and Davies, Dave Hunt and Colin Murdock, who all missed the trip, will be expected to return. New Brentford manager Andy Scott will have midfielder Sammy Moore available for the last time. Moore will play the last game of his loan spell from Ipswich and will be pushing for a recall to the starting line-up as they search for a third win in a row to continue their rapid ascent of the League Two table since Terry Butcher's departure. On-loan Reading goalkeeper Ben Hamer will continue after his last-minute arrival on New Year's Eve in place of the injured No.1 Simon Brown, who is set to be out for three weeks with an ankle injury. Right-back Ben Starosta sits out the third and final game of his suspension while midfielder John Mousinho has recovered from his long-standing knee injury but is short of match fitness. Defender John Mackie's leg injury is worse than first feared and could be set for an extended spell on the sidelines.